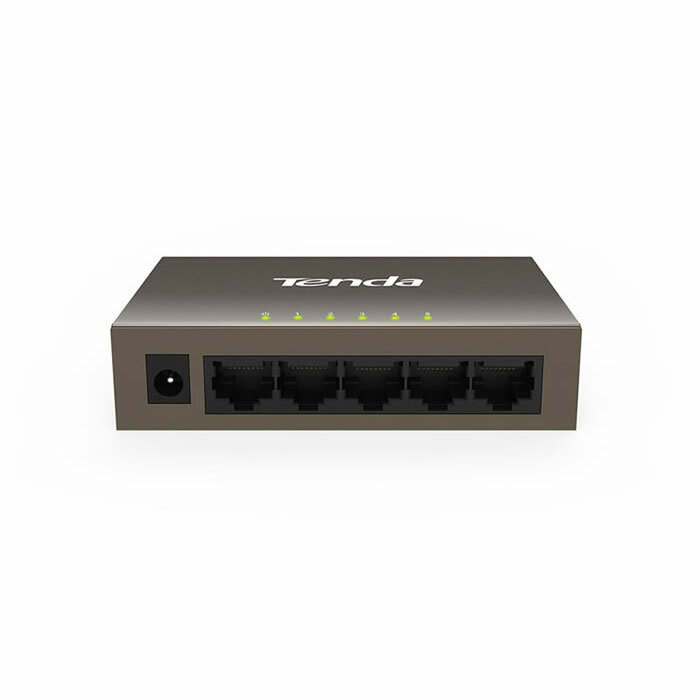 TEF1126P-24-250W is a Tenda PoE switch that offers 24 10/100 Mbps Base-TX RJ45 ports, 1 10/100/1000 Mbps Base-T RJ45 ports, and 1 1000 Mbps Base-X SFP port. Ports 1-24 comply with the IEEE 802.3af standard (maximum PoE power output: 15.4 W) and 802.3at standard (maximum PoE power output: 30 W). 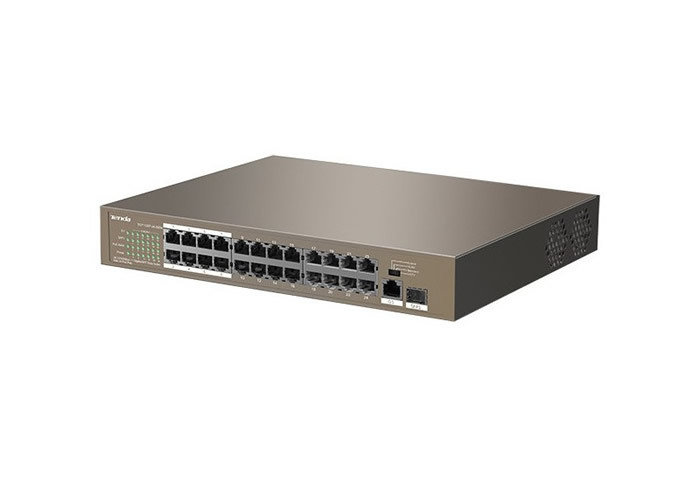 The switch offers a maximum PoE power output of 225 W and can supply power to and exchange data with APs, IP cameras, and IP phones through CAT5 cables. 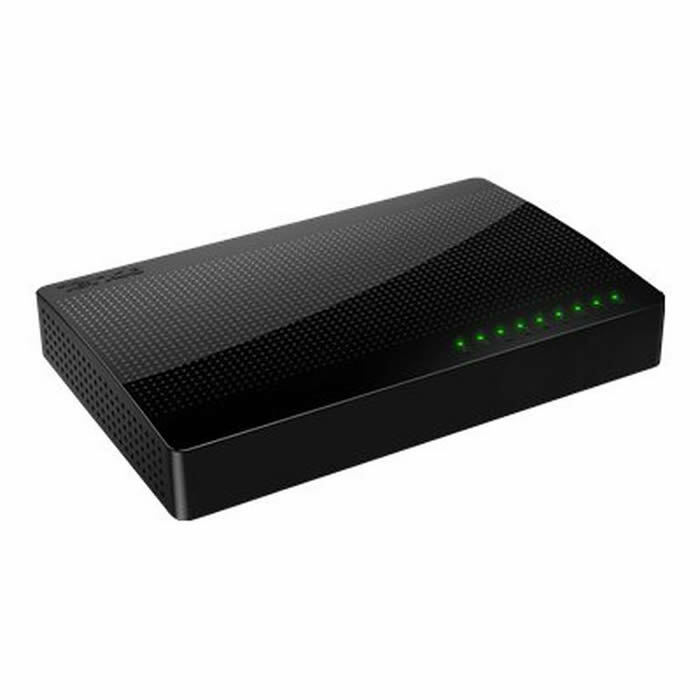 It also provides simple management modes such as CCTV, VLAN, and Extend to help reduce cabling costs of IP terminals like APs and IP cameras. Interested in this product? Contact us today. 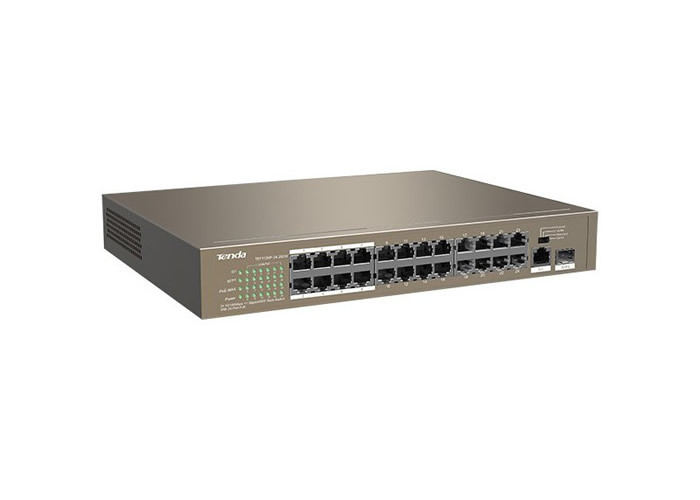 CCTV: 1-8 ports based CoS, If multiple IP cameras are connected to the switch, you are recommended to enable this mode and connect the G1 or SFP1 port of this switch to the upstream device to which the monitoring computer connects. This ensures smoother monitoring video playback. 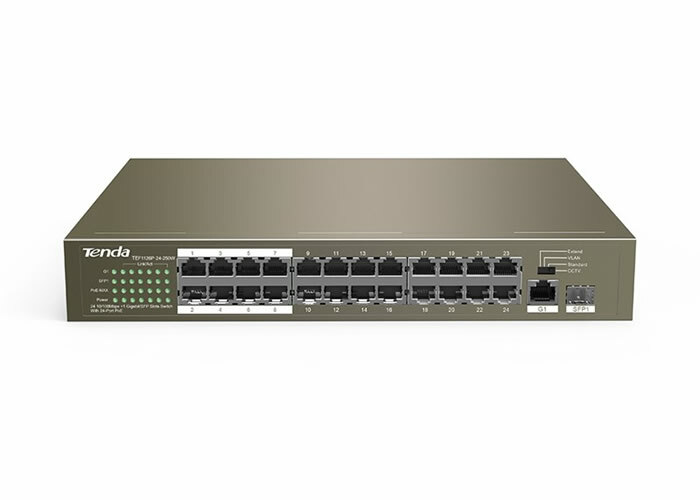 Standard: the switch functions as a common unmanaged switch and all the ports of the switch can communicate with each other. 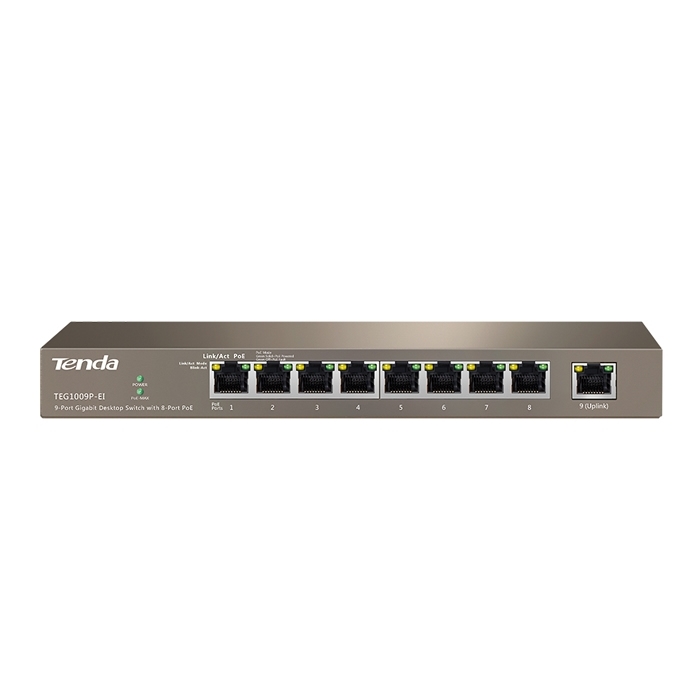 Extend: In this mode, the data rate of 1-8 port of the switch is limited to 10 Mbps, whereas the maximum transmission distance of the port is increased to 250 meters. All the ports of the switch can communicate with each other.